Most businesses understand the concept of web design but don’t fully understand the importance of it. Yes, it is aesthetically pleasing to the eye and will help with navigation through your site, but did you also know that it can increase your entire web presence? From SEO and branding, to building trust from first impressions, there are many good reasons for businesses to focus on developing a strong web design. When a viewer visits your site, you only have a matter of seconds to make a good first impression. This means that the overall look and design of your site will be the first deciding factor whether or not a visitor will further explore your site or move on to the next one. In fact, a study was conducted that found that 94% of people either trust or distrust a website based on it’s design. Another 48% of people claimed that the number one factor that they use to rank a business’ credibility depends on their website’s design. These are pretty large percentages of people who use design as their first resource to rate your business. Avoid these 5 things when it comes to designing your #business #website! Cluttered and complicated layout. When it comes to web design, it’s true that less is more. Limiting the amount of information and options that you have on your website makes it easier for visitors to find what they are looking for and take action. Whitespace is your friend! Lack of color and boring web design. Adding color to your website can increases web recognition by 80%. There are different psychological effects that occur in response to the colors that you use for your website. For example, blues tend to ignite a happy, positive response and make your site look cleaner and more organized. Whereas bright colors such as reds and oranges cause individuals to feel excited. Make sure that your color scheme correlates with the appropriate emotional responses that you are looking for. Slow loading time. The longer that visitors have to wait for your site to load the more impatient that they get. There are a series of actions that you can take to minimize your site’s load time. Some of these actions include optimizing images, minimizing HTTP requests and increasing server response times. Small text. This can be a huge turn off to visitors. Large text is much easier to read and can help draw attention to important content on your site. Just don’t overdo it – find a good balance. Popup ads. Not only can this slow down load times for you site but can also be an annoyance to your visitors. If you’re going to ad popups to your site then there are a few things you can do to avoid annoying your visitors. One of the first things you should do is add a cookie to the site that tracks visitors. This way the popup only appears to new visitors and doesn’t bombard someone every time they are on the site. In addition, make sure you respect a visitor’s decision to not engage in your pop-ups. If they close out, or refuse to participate in whatever your popup is promoting, don’t add additional popups to appear after they’ve already turned down one. This can be one of the biggest annoyances to visitors and is sure to turn them off to your site. Now that you know some of the key ‘don’ts’ for developing a strong website, let’s talk about a major ‘DO’ when designing your site – graphics! Having powerful and professional looking graphics on your site can draw people in. But what if you aren’t a graphic designer, or don’t have the budget for one? Luckily there are some very handy tools to help guide you through developing our web design. One of these tools is Adobe Slate, which was released on April 2nd. The app, which was made specifically for iPads, allows users to turn words and images into a beautifully laid out story. Offering multiple themes and custom photo layouts, users are able to create designs that are specific to their business. Their many features provide users with a fun and easy way to add a personalized touch to their next business newsletter, event promotion, product presentation and more! Watch the quick, 30 second video below to get a sneak peek on how you can customize your next project specifically for your business. In addition to being a fun and easy way to present your story, Slate can also be embedded or shared wherever you’d like so that your readers can access it and enjoy at their leisure. Not only that, but your project will be adaptable across multiple devices. Whether you are on your computer, tablet or phone, your Slate project will adapt accordingly. Another great tool that allows you to turn your business ideas into stunning designs is Canva. The app allows you to deliver important messages to your audience through the use of images. To get started, you can choose from a series of templates that are separated into different categories. These categories include social media posts and headers, email headers, marketing materials, documents, blogging, events and ads. Within each category are custom templates that are already set to the appropriate dimensions of the design that you are creating. Once you have chosen your template, the design process is simple. It’s as easy as drag and drop. You can upload your own custom images or logos or choose from their extensive library of images. You can also add your own custom text and choose a font from their many available options. For the most part, many of the images and templates are free but others can be used at minimal cost. 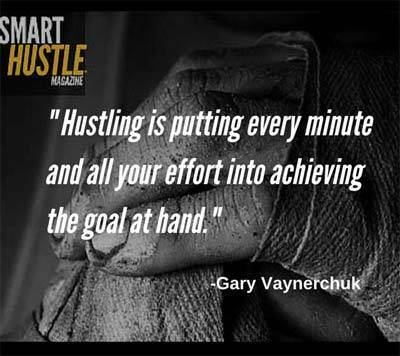 Below is an example of an image that we created for our Instagram page using a quote and image from one of our recent articles, "Gary Vaynerchuk on 'A Hustler's Mentality'". After completing your design, you can download it as an image or pdf file and save to your computer. It’s as easy at that! In addition to Canva and Adobe Slate, we've compiled a list of our favorite "Top 10 DIY Tools for Graphic Design". Not in the DIY state of mind? Find affordable custom designs on sites like Fiverr and 99 Designs. 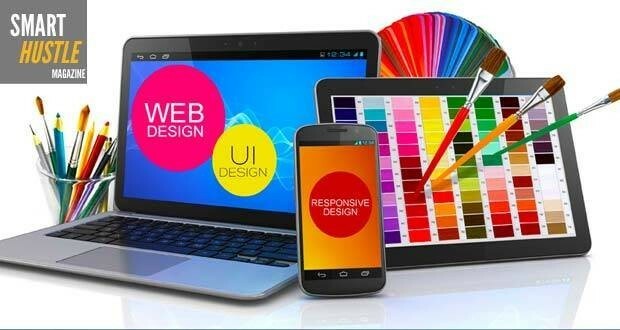 With web design playing such a significant role in marketing for business, it’s important to develop a strong design that attracts new customers and stands out from your competition. Avoid spending a ton of money and take advantage of these free and low cost tools that are available at your disposal and make a strong first impression with your audience.